The TRACKER® Guide V-16 Laker is our only all-welded aluminum Deep V utility boat. One of the most heavy-duty boats in its size class, it’s constructed of tough .100 5052 marine alloy, just like our top-of-the-line Deep V boats. Onboard, you'll find vinyl-covered raised fishing decks fore and aft (which double as seats)—with a base for an optional fishing seat on the bow deck. Midship, there are two vinyl-covered boxes which can be used as seats as well. 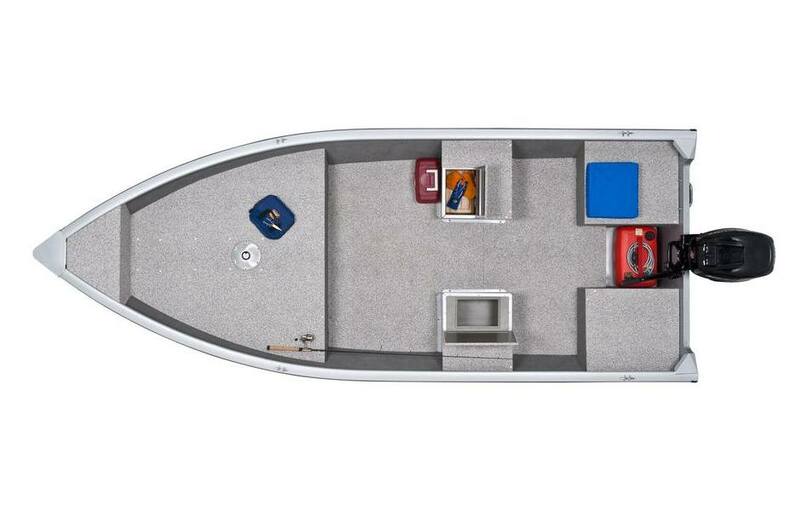 The port box features a livewell below, and the starboard box has storage below. Max. Weight Capacity: 1200 lb. Max. Person Weight: 750 lb.